Our lemon tree is loaded with fruit this time of year, and the rosemary “tree” is always ready to contribute to a good cause. I just couldn’t pass up a chance to make these lemon bars! 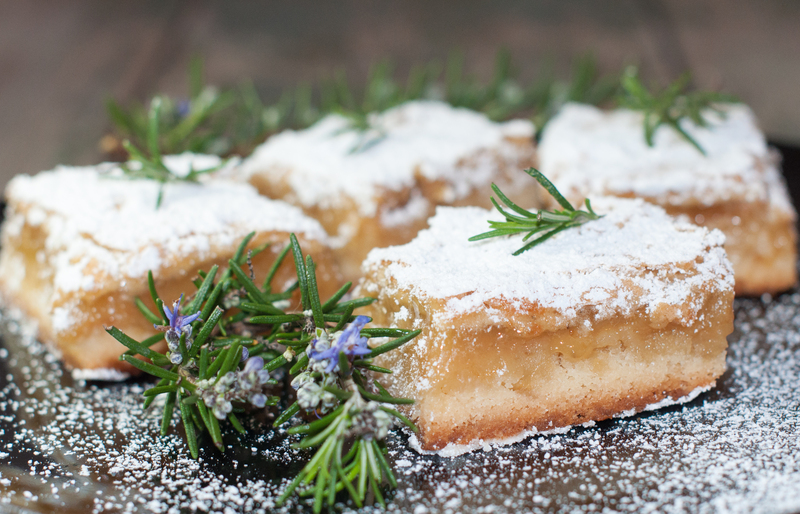 The rosemary-lemon combo is hard to beat. The crust on these bars is rich and buttery. If you love the rosemary-lemon combo as much as I do, you might want to try the Rosemary-Lemon Martini.